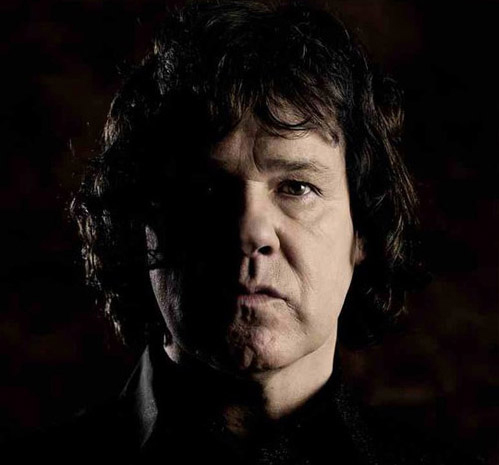 Gary Moore died of a heart attack in his sleep in the early hours of February 6th. Millions will mourn the sad and tragic loss of a guitar virtuoso who throughout his life gifted us magnificent blues guitar solos, jaw-dropping technical mastery of his instrument and decades of wonderfully honest music. I knew Gary for years as the musician the world knew – a guitarist who continued to perfect and explore his extraordinary talent. Over the last decade I have known him as a valued friend and that friendship gave me additional insight into how intensely dedicated he was to his craft – a perfectionist constantly discovering new ways to seduce those guitars to release ever more powerful and emotionally expressive sounds and sentiments. Generous, gracious and extremely funny with those who earned his affection and respect; utterly dismissive of time-wasters and ferociously protective of his privacy; he managed for the most part to successfully balance celebrity and its demands with a profound need to be personally grounded by spending time with his family, friends and other like-minded musicians. The desire for perfection was always the driving force and the inspiration behind his impressive musical career. Gary was equally at home playing with BB King at Wembley Arena to tens of thousands of adoring fans as he was playing spontaneously in small bars and clubs (having borrowed a small amp from a local guitar shop on his way) with local musicians he respected. The measure of the man and the musician was that the quality of performance and commitment, whether performing to dozens or thousands was, in every case, consistently brilliant. It would be easy to categorise Gary as one of the greatest blues guitarists the world has known and as ‘the guitarist in Thin Lizzy’ – but that would be a limited appraisal of his remarkable and unique contribution to music. His portfolio of work, over decades, has encompassed and celebrated every guitar-style there is – with stunning dexterity and an honest emotional understanding of each of them. His work continued, over the years, to expand and rejuvenate, to touch the soul and to inspire so many. 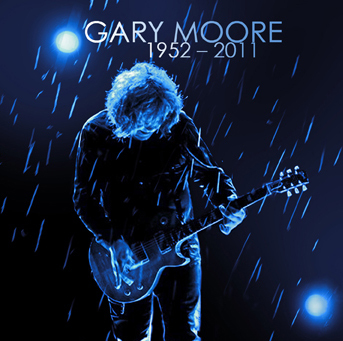 I lose count of the number of aspiring young musicians (and well-established ones) who cite Gary Moore as their major influence, someone who inspired them to take their first tentative step into expressing themselves by playing guitar. What better legacy could there be than that? God bless you Gary Moore. My love is with you as it is from so many. Stay soul-soaring. You will be missed … but thankfully you have left us so much that will continue to inspire us and fill our hearts.